Happy weekend friends! And what a happy weekend it is. Today it is in the 80s – woot, woot!! I can’t even tell you how excited I am to have some truly warm weather! 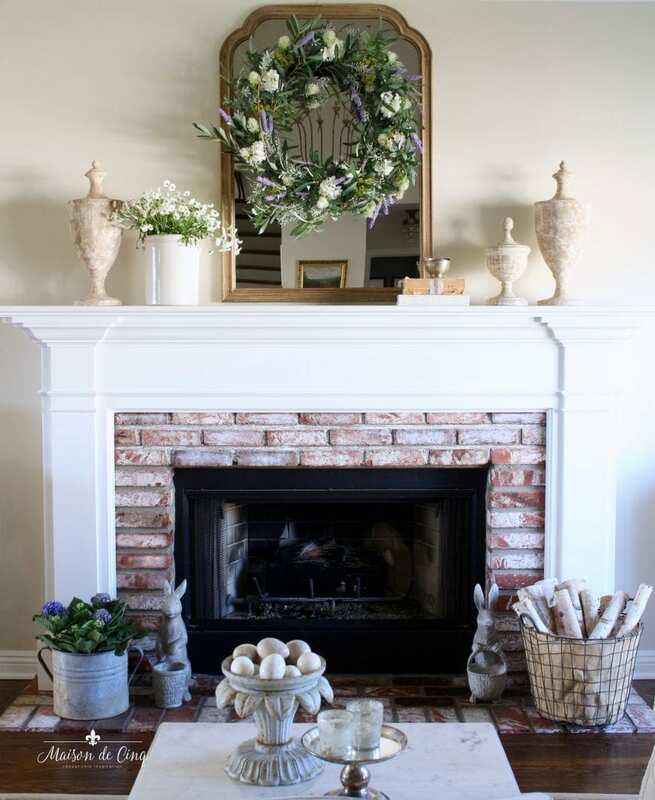 And how appropriate that I would be sharing some more spring decorating with you today. 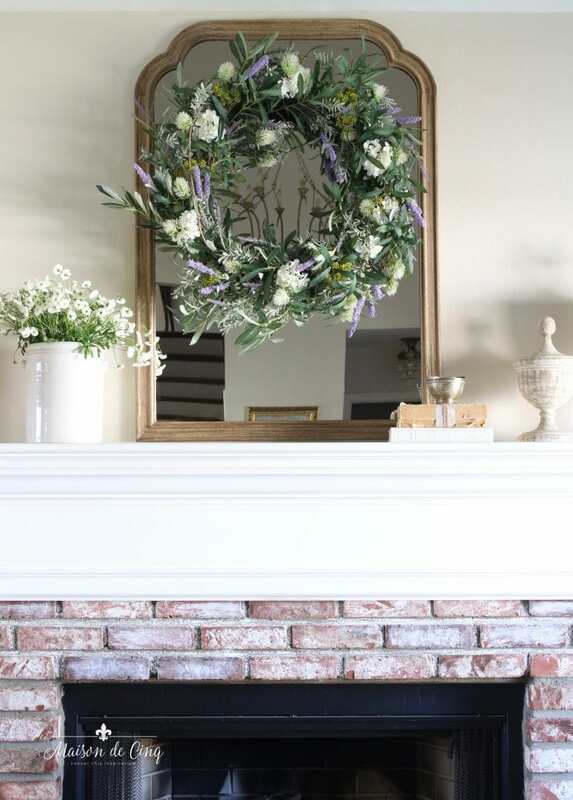 This week some gorgeous wreaths arrived from Balsam Hill, which was perfect timing. Although I had already sprinkled some spring decor (and even a little Easter decor) around the house, I hadn’t done anything about the sad state of my porch. The plants were long dead. The doors were bare. And all that was sitting there were some neglected pine cones in my lantern! We’ve had so much rain and wind this year that everything was just a mess. Such a mess that I had kind of ignored the outside – until now. It was time. It needed a refresh. And the wreaths were the perfect thing to bring some spring cheer to the porch! 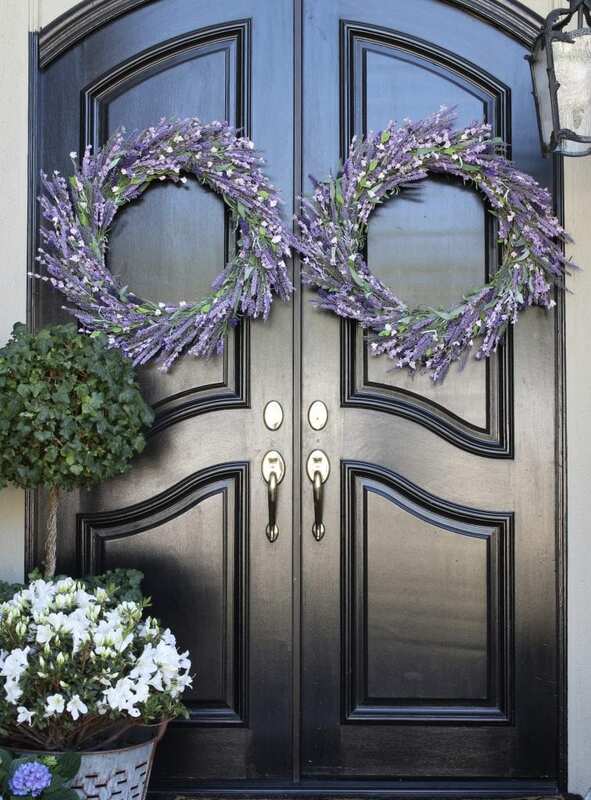 These wreaths are the Provencal Lavender Wreath and the lavender color just spoke to me this year! A few weeks ago I did a table with similar colors and some purple stock, and I’ve been loving the soft purple colors ever since. They just scream spring to me! And these look amazingly real. I also freshened up the porch with some new plants. I added some white azaleas to my vintage olive basket, as well as a blue hydrangea. It’s so nice to see something blooming after months of dead plants and brown sticks in every pot, haha! And I’m loving how it looks on the mirror over my fireplace mantel. 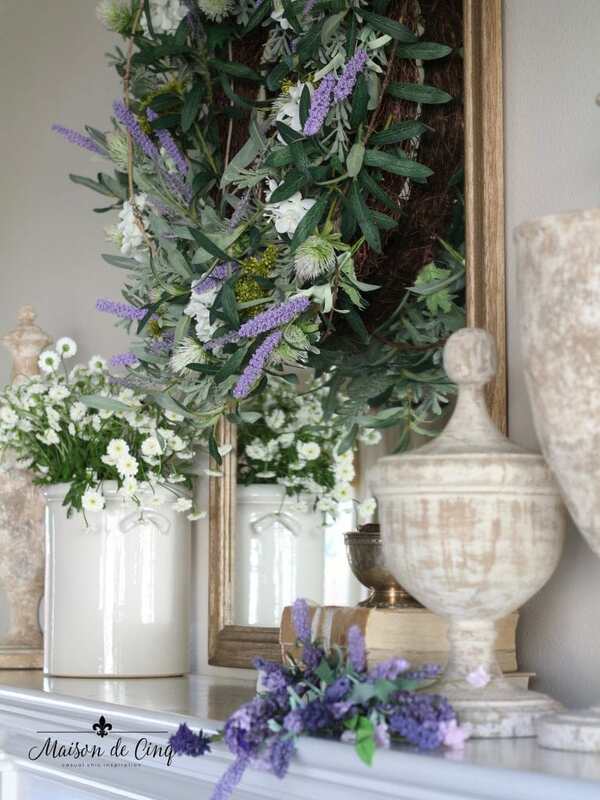 I also added some faux lavender from my Provencal Lavender Swag – it’s so pretty and looks so realistic! A cache pot of chamomile brings more French farmhouse charm to the mantelscape. 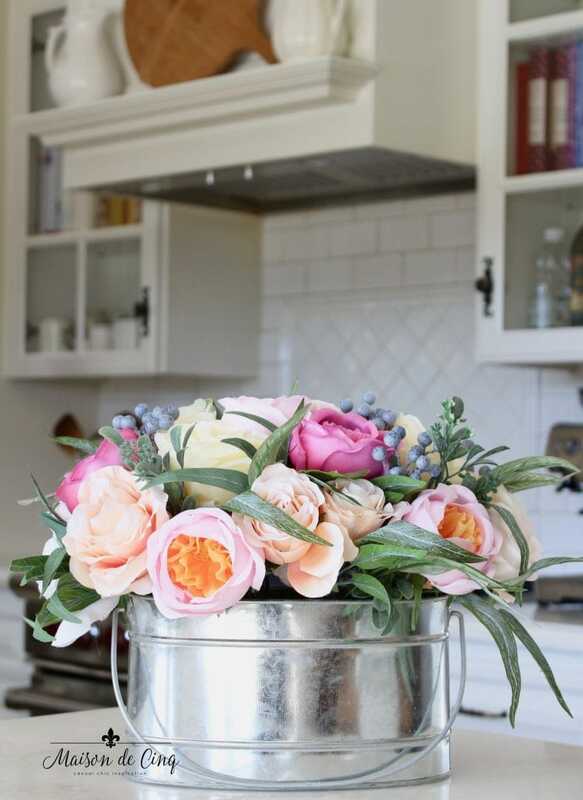 I also added a little more spring in the kitchen, featuring this Brittany Rose arrangement. I love the roses, and of course, the adorable container it comes in! 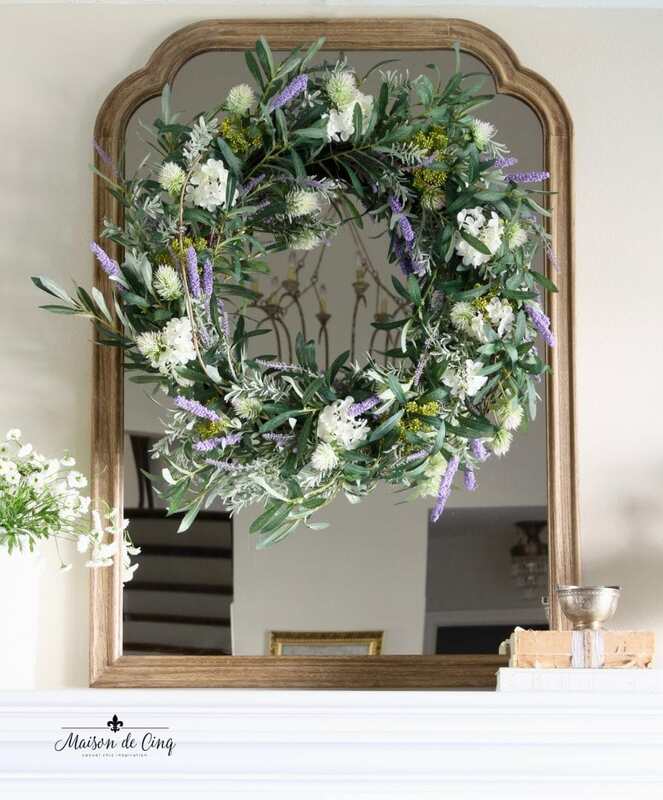 You can also catch my friend Courtney’s post who is sharing her Balsam Hill spring wreaths and floral collections below! 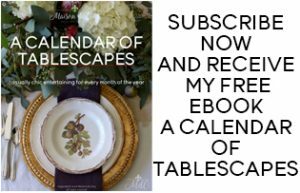 I think you’ll love her spring decorating and inspiration! Thanks so much for stopping by, and happy spring! 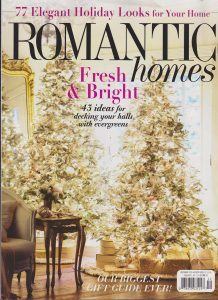 Very very pretty!~I love all the great fauxs from Balsam Hill. And yes, their fauxs are the best for sure!! Your porch looks wonderful. This girl can never have too much Lavender. This wreath is my favorite from Balsm Hill. Finally planted Violas in NJ. Beginning of spring for us. Thank you so much Cindy – I feel the same! Lavender is so wonderful in the spring and one of my favorites for sure! Thanks so much for stopping by! happy spring! 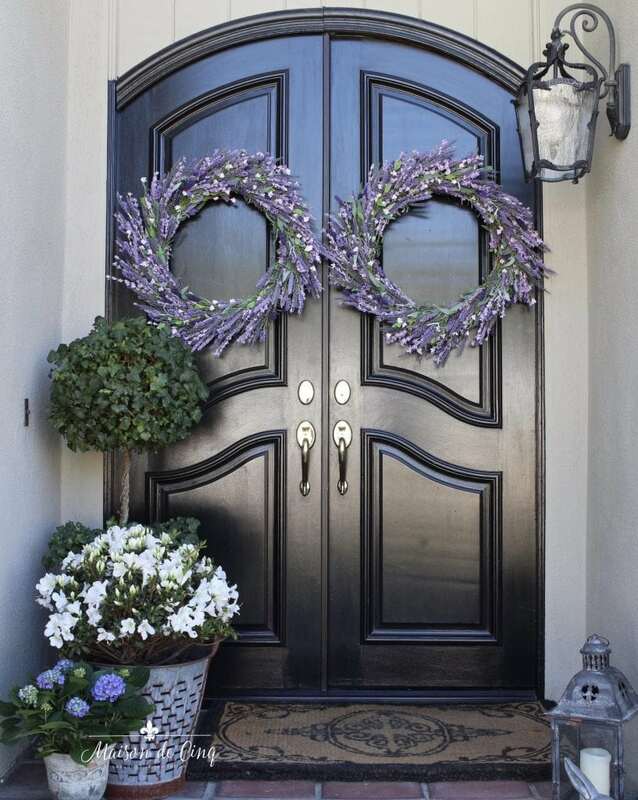 Beautifully arranged wreath and versitel enough for almost any room. Love it, and thank you for styling ideas. Thanks so much Darlene! I’m so glad you found some spring inspiration here! Love the wreaths! Lavender color speaks to my heart too this year. It’s so beautiful and true breath of fresh air to any space. It makes your porch and living room look absolutely stunning. 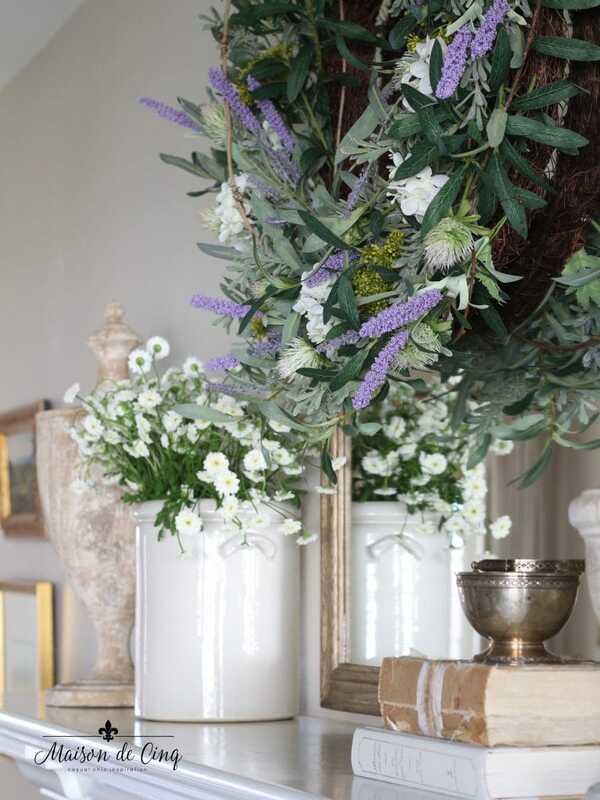 And that flower arrangement and container are wonderful, love the pop of color they bring to the room. Absolutely stunning wreaths! I have a question about the eggs you have on display. Are these wooden? Where did you get them from? Hi and thank you Maree! The eggs on the coffee table (I think that’s what you’re referring to) are marble and alabaster! 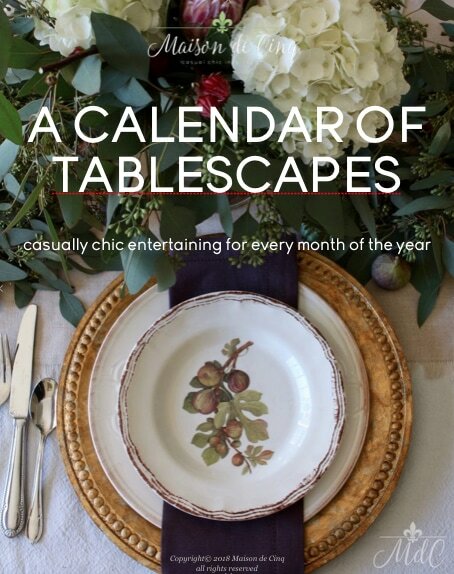 I’ve linked several sources in the post (under “Shop the Post”). Hope that helps!